Time for another round of Yvo’s Shorties! 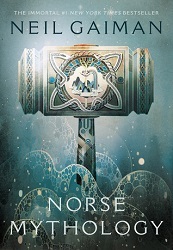 This time around a hit and a miss… Norse Mythology by Neil Gaiman turned out to be just as wonderful as the cover and I had a great time exploring the different Norse myths. Pretty Little Liars by Sara Shepard on the other hand turned out to be a huge disappointment I wish I would have DNFed… Unpopular opinion review ahead! I’m a huge fan of both anything that Neil Gaiman writes and the Vikings TV show, and I’m always interested in mythology stories as well. So basically Norse Mythology is a triple hit, and I knew there was a good chance I was going to enjoy this one. And that is exactly what happened! I didn’t know that many details about the Norse myths apart from the known Odin, Thor, Loki and a few other elements mentioned in the TV show, so it was a fascinating and wonderful ride to learn more about all those characters and stories. 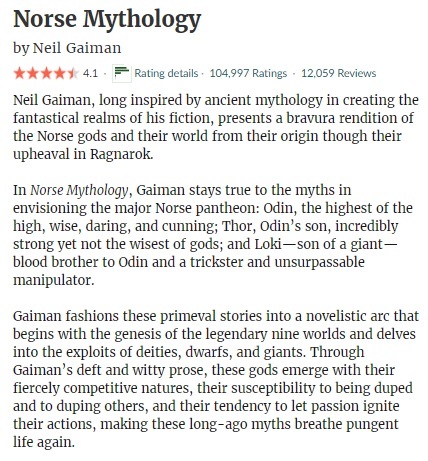 Norse Mythology is a collection of short stories, but told in a way that really flows and makes it easy to connect the different characters, myths and happenings. The writing is of course rock solid and of a high quality I’ve come to expect of Neil Gaiman. If you are interested in Norse mythology in particular or simply are looking for a well written and interesting collection of short stories, I can highly recommend this one. Let’s face it, the cover art alone makes you want to own a copy in the first place! 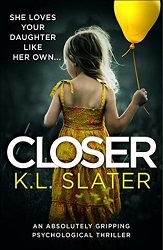 I have been doubting whether I should read this series for years now… I know it is a popular series and there is even a TV show, but I just got that vibe that this one won’t be for me. I guess I wish I would have listened to those instincts now, because hello unpopular opinion review once again! Oh yes, there is one thing that is for sure: Pretty Little Liars 200% isn’t for me. 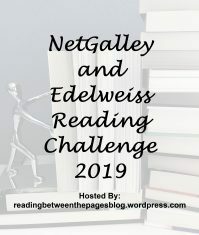 The only reason I didn’t DNF is that I needed it for a challenge, and didn’t have time to go looking for a different title that fitted the prompt… That bad? Oh yes. Highly annoying and frustratingly obnoxious characters… Check. One high school cliche stacked on top of another high school cliche… Check. Writing I couldn’t connect to and atrocious behavior of the main characters… Check. Plot that didn’t do anything for me at all… Check. Lack of connection to the characters and plot and overall lack of interest in how things would evolve… Check. I did warn you it was going to be another unpopular opinion review! Let’s think what I did like… Probably the fact that Aria lived a while in Iceland and the European references. Although it’s mostly about the booze and how liberal everything is supposed to be, so still a let down. 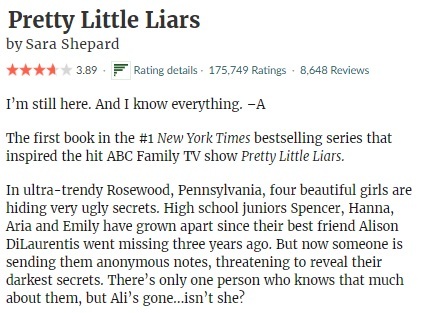 Yeah, Pretty Little Liars and me definitely didn’t get along, but at least it’s one more series to cross off the to-read list. Time for another round of Yvo’s Shorties! Today two completely different reads, but both worthwhile. 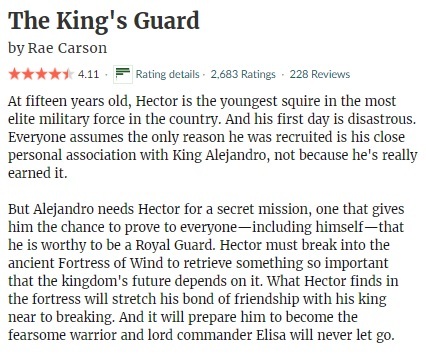 The King’s Guard is the third and final Fire And Thorns novella and without doubt my favorite of the bunch. 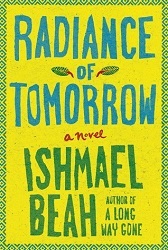 And I have been wanting to read Radiance Of Tomorrow forever, especially since Ishmael Beah‘s memoir made such an impact. This fictional story also set in his country Sierra Leone is another powerful and heartbreaking read. I have been reading the Fire And Thorns novellas before tackling the sequel, and I have to say this third and final one is probably my favorite of the bunch. 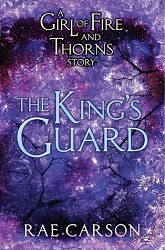 The King’s Guard is partly set in the royal palace and is partly an adventure and rescue mission. 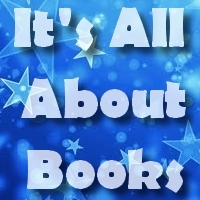 Hector makes a great main character of this novella and his character is very easy to like. The writing is solid as always and I managed to read it in no time at all… The plot and setting are well fleshed out for a novella and I had a great time reading this one. These novellas are a great addition to the original series and especially the last two novellas are without doubt worth the read if you enjoy the series. A Long Way Gone is one of the most devastating and heartbreaking memoirs I’ve read to this date, and well written at that. I’ve been meaning to read Radiance Of Tomorrow for years now, and I’m glad I’ve finally had the opportunity to do so. 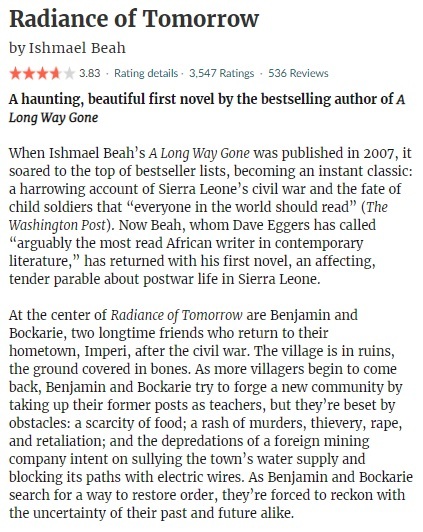 While Radiance Of Tomorrow is a fictional story this time around, it has the same setting in Sierra Leone and the same emotional rollercoaster ride. Make sure to brace yourself before you start this one, because it won’t be a happy journey. Radiance Of Tomorrow tells the story of what happens in the ruined village Imperi after the war in Sierra Leone ended. The beginning sets the tone of what will become a heartbreaking, devastating and very emotional read, with little lights shining upon the hope the characters have things will become better in the future. 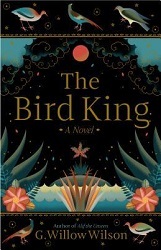 Descriptions of both characters and setting are excellently done and I loved the ‘fusion’ of different languages as the author translated expressions from other languages literally to describe things. This book shows us what it was like for the locals after the war, the struggles still there as they try to survive with all odds against them. You will take the characters under your wing and suffer with them as setbacks occur… Radiance Of Tomorrow has a wonderful bigger message and is without doubt a very powerful and emotional read. I’m glad I decided to finally pick up! 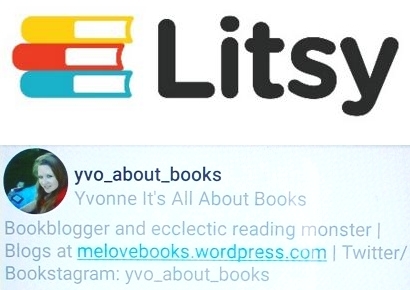 First of all, it’s SO exciting to see another fellow book blogger getting her book published! I’ve been looking forward to read Lies Between Us ever since I first saw that cover, and there is no doubt that this is a very cleverly constructed psychological thriller debut. I admit it was a slowburner for me for reasons mentioned below, but above all the potential shines through and I will already be looking forward to what she will come up with next. Let’s talk a bit about my experience with Lies Between Us. Like I said before, I admit it took me some time to get used to the multiple POVs and I was confused as to how everything fit together at times. Especially the second person POV took some time getting used to, but that doesn’t mean it’s badly written or doesn’t fit the story. 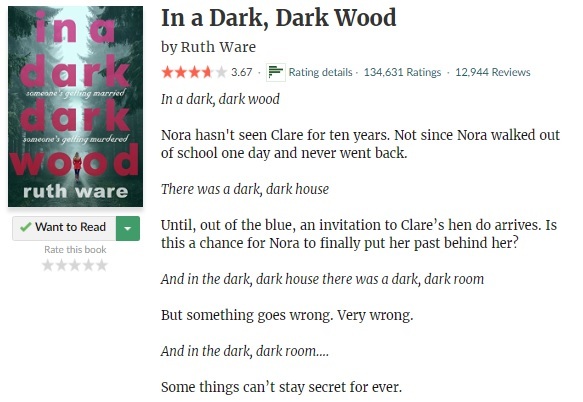 In fact, it only enhances the dark and slightly disturbing feeling around this character and adds to the overall suspenseful atmosphere of the book. There is no doubt that Lies Between Us is a complex and very cleverly executed psychological thriller that will keep you on edge. I did guess come of the twists though and some of the names are misleading… Those who have the chance to read this debut will probably understand what I’m referring to (don’t want to give away any spoilers!). Also, I was left with some questions after the final page, and would have liked to have some details explained to avoid the confusion. Still, Lies Between Us was a very satisfying psychological thriller with one heck of a creeper as one of the main characters… Talk about getting a look inside the head of a very disturbing individual! Fans of the genre will have a great time read this one. 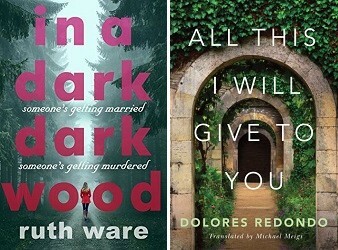 Three people with very different lives will soon be crossing paths under circumstances nobody wants themselves to find to be in. They all have something in common, although none of them know it yet… But the truth will not stay hidden forever. John has had a comfortable and happy life so far, but this is about to change as his daughter goes missing. Maisie is a nurse in a hospital and very dedicated, but hides a very traumatic experience in her past. And Miller has been struggling ever since he was little to fit in and be a ‘good boy’. How will they react to the things that happen to them and how does everything connect? While a slowburner for me, once I got the hang of the story I found myself to be absolutely hooked. Lies Between Us is a well crafted and complicated psychological thriller with multiple POVs and flashbacks that will keep you on your toes as you try to take everything in and fit everything together. The writing is solid and especially ‘Miller’s character development is extremely well done and spot on; he sure will give you goosebumps before the story is over. And despite a few minor problems mentioned above, I enjoyed spending time with Lies Between Us and it is without doubt a very promising debut. Time for another round of Yvo’s Shorties! 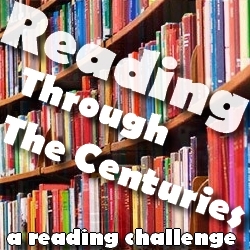 This time around a novella and a historical fiction read. 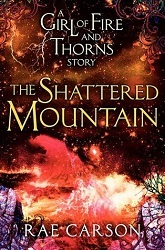 The Shattered Mountain was a short and interesting addition to the Fire And Thorns series. And I had great hopes for The Ballroom, especially since the setting is fascinating, but the story fell flat for me. I read the first Fire And Thorns novella earlier this month, and then decided to try and read the other two as well before continuing with the sequel. There is no doubt that this second novella is a lot stronger than the first one. I think this has a lot to do with the main character of this short story, which is quite easy to like and root for. Mara is a very interesting and strong character and she does some amazing things along with the other characters. 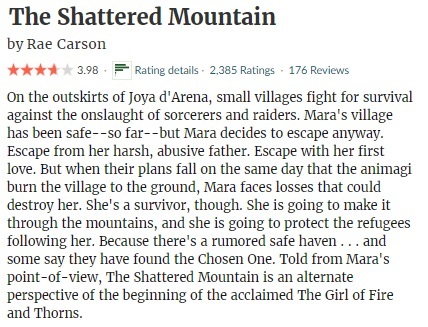 The romance in The Shattered Mountain didn’t bother me one bit even though some cliches were involved. I think this mostly has to do with the fact there is a lot of focus on the dire situation the group is in instead as well as the worldbuilding of this high fantasy story. The writing is solid and makes it easy to fly through the pages… This novella is definitely worth your time if you enjoy the series. 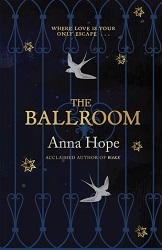 I first added The Ballroom to my TBR because of the cover as well as the promise of a fascinating historical setting and a mental health angle. It took me longer than planned to get to it, but the readathon was an excellent excuse to finally do so. There is no doubt that this historical fiction read set in a 1911 asylum has a very interesting premise and a lot of potential. Unfortunately, the story sort of fell flat for me… Part of this feeling has to do with the fact that the pace was considerably slow and it took me a lot longer than expected to read this story. The focus was on the characters and their development, but sadly there was nothing much for me to keep me focused to them or create a proper connection; instead I was mostly left both just wanting to get it over it and wanting the story to deliver something more. The fact that Charles is a very unlikeable character doesn’t really help either. Because as always with character-driven stories, being able to connect to the main characters is key. Surprisingly though, the romance in this story didn’t bother me that much. 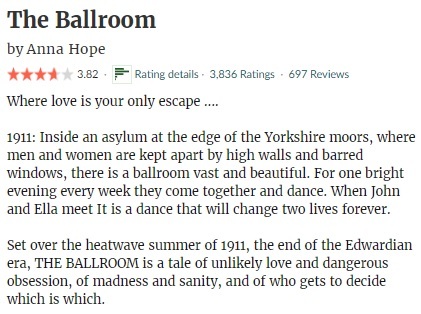 Fans of slower paced and character-driven historical fiction reads with an interesting setting and a Shakespearean love story will have a great time reading The Ballroom.